Portuguese Egg Tarts @ Lord Stow's Bakery, Macau - Always Travelicious ! If there is only one thing I could eat in Macau, it would be the Portugese egg tarts from Lord Stow’s Bakery. The egg tarts are also sometimes referred to as “Andrew’s egg tarts” as Andrew Stow was the original founder. The puff pastry seems to be made up of countless of fragile layers that are so thin you could still distinguish each individuals flaky layers. The custard is irresistibly creamy with an intoxicating sweet scent, but not entirely sweet because there is a also a whiff of caramel from the lightly charred custard. The egg tarts are dainty, yet taking a bite into one generates big sensations that I will never be able to look at egg tarts the same way again. Despite the egg tarts being super famous with a few outlets in Macau and being franchised in a few countries, the original bakery in Coloane is surprisingly small but cozy. 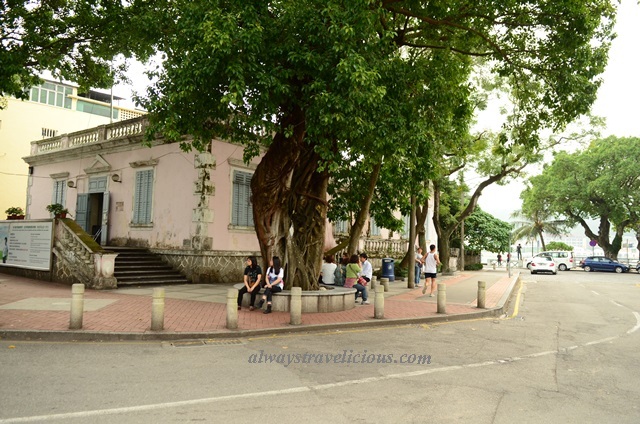 It was a leisure afternoon when we tried the egg tarts, sitting beneath the tree just opposite the bakery. The only other place that could possibly rival Andrew’s egg tarts are Margaret’s, at Margaret Cafe e Nata located not too far away from Senado Square; with an interesting story behind the tarts too. Andrew Stow and Margaret Wong were once married and when things didn’t work out, Margaret came out with her own version of egg tart. Story has it that relatively Andrew’s pastry portion is better than Margaret’s, while the custard portion of Margaret’s tarts is better than Andrew’s. I haven’t had the chance to try Margaret’s, but I think I will end up loving those egg tarts too. Address : 1 Rua do Tassara, Colane, Macau. Opening Hours : Daily 7 am – 8 pm. Getting there : Bus 15, 21 A, 25, 26, 26 A to Colane Village. I visited Macau in the most uncomfortable way – was stuck on the tarmac in a grounded plane for eight hours as the result of a typhoon-related thunderstorm on my way to HK once. Sure wish we had these tarts then! Anyway, thanks for the bit of history behind this famous egg tart, KJ. 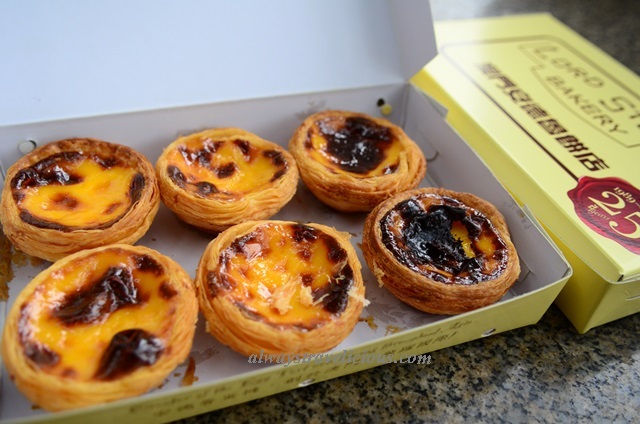 I would love to revisit Macau in a more pleasant way and try one of these tarts from the source.